DIXION is a manufacturer and trading company offering a wide range of medical equipment for a variety of medical fields, such as surgery, intensive care, gynecology, and neonatology. 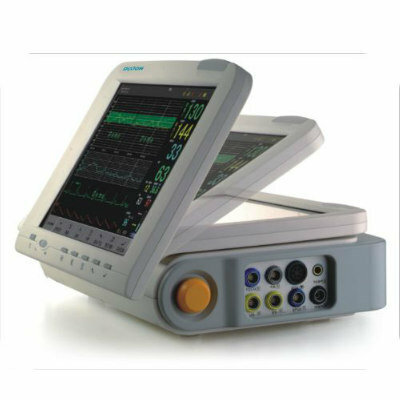 Its product range includes ventilators, infusion and syringe pumps, patient monitors, pulse oximeters, ECG machines, functional beds, incubators, infant warmers, and phototherapy units, among others. The Overtone 6530 Exp fetal monitor features a 12.1-inch TFT foldable touch screen display for multi-angle observation with 3/9-parameter interface and a big front interface. It offers an automatic fetal status scoring system and auto/manual fetal movement marker, making it suitable for antepartum and postpartum applications.